High cholesterol can be dangerous as it contributes to the risk of cardiovascular events, including heart attack and stroke. Hence, lowering cholesterol is highly advised. Sure, you can take statins to curb your levels, but for some people this is not enough to get healthy results. It’s important that even if you are on cholesterol-lowering medications, you still partake in healthy lifestyle habits to ensure your cholesterol stays within the healthy range. Below you will find some useful natural ways to reduce your cholesterol for the benefit of your heart. Eat nuts: Eating nuts regularly is a healthy way to lower cholesterol as they naturally increase HDL (good) cholesterol in the body. Just be mindful that nuts are high in calories, so your daily intake should be limited to about a handful. Exercise: Working out for at least 20 minutes a day has been shown to be an effective way to lower your cholesterol. Strengthen your leg muscles: More specifically, strengthening your leg muscles – performing squats, lunges, etc. – has been shown to reduce cholesterol by 19 percent. Increase your dairy intake: Eating dairy products has been shown to improve cholesterol numbers. Eat more fish: Substituting red meat or fatty meat with fish can help reduce high cholesterol levels. Drink cranberry juice: But avoid the sugar-loaded variety. Drinking cranberry juice has been shown to reduce bad cholesterol in the body. Avoid skipping meals: You may think eliminating a meal may curb cholesterol, but in some people it actually leads to a greater accumulation of cholesterol. Studies have shown that skipping meals reduces the amount of good cholesterol in the body. 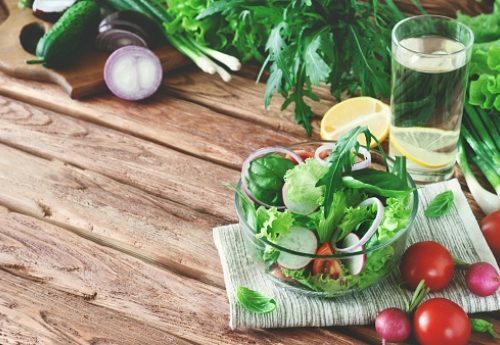 By following these healthy habits, you will have greater success in managing and controlling your cholesterol levels as well as improving your heart health.